Benedict Cumberbatch is walking away with all the critical applauds for his role as the villain in Star Trek Into Darkness, so this week’s top ten looks at some of the best British villains in Hollywood movies, those films in which they literally walked away with the film. Again, this is only a personal choice so don’t get too hot under the collar if your favourite isn’t here or is low down in the listing. Just a bit of fun, people! While the remake didn’t do the original any justice, this 1974 thriller set on a hijacked tube train is still as gripping a now as it was back then, thanks to Walter Matthau’s gruff police Lt and Robert Shaw’s scheming leader of kidnappers, Mr Blue, who plays a cat and mouse game. Never having to take things too far, Shaw’s character is quietly commanding. Playing Hans Gruber’s brother, Jeremy Irons follows Alan Rickman’s lead of both masterminding a mass gold robbery while sending Bruce Willis on a wild goose chase over New York to punish him. Not as effective as Rickman, Irons still gives an impressive villain, all bulked up and vested (like a mirror of John McClane). 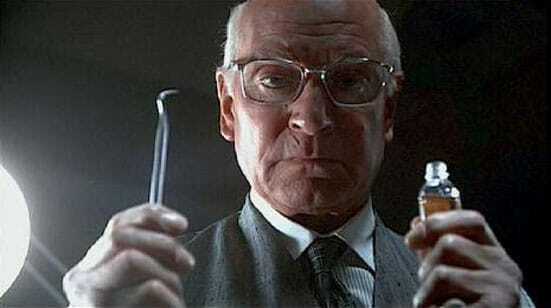 One of the greats of stage and screen, Laurence Olivier was very ill when he was asked to play Nazi dentist Szell and the producers were worried he wouldn’t come through. Like the trooper he was, with bald head, Olivier took on Dustin Hoffman and walked away with the film in a very short time with his torturous scene with those sinister words “Is it safe?” The conversations between Hoffman and Olivier off screen are now legendary and worth reading William Goldman’s Adventures in the Screen Trade just for that section alone. Having only appeared at the beginning of the first Superman film, Terence Stamp and his band of followers got a bigger bite of the apple in Superman II, as General Zod, the punished Officer who wanted to take over Krypton and knows all of Superman’s weaknesses. The “kneel before Zod” line is still a masterclass of how to deliver villainous lines. Be interesting to see Michael Shannon take on the role in the forthcoming Man Of Steel. 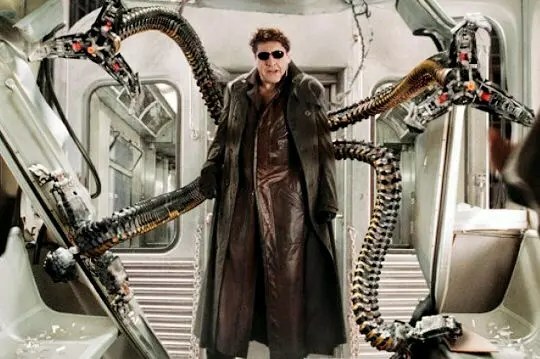 The best of Sam Raimi’s Spider-Man trilogy, thanks to a tight script and a villain who doesn’t want to be villainous in Alfred Molina’s Dr Octopus. With his metal tentacles attached to his back, he is more than a match for Tobey Maguire’s Peter Parker/Spidey as it is far more than just an evil man but a man fighting his own will as well as the web-crawler! 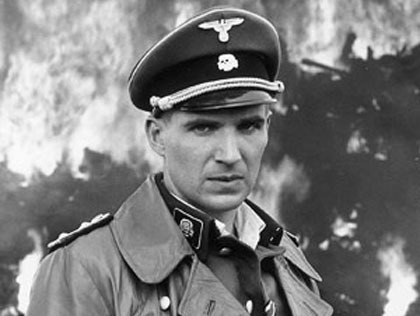 It could have been very easy to put Voldemort in this list but Ralph Fiennes’ finest hour has to be as the incredibly heartless and evil Navi officer Atom Goeth in Spielberg’s brilliant Schindler’s List. A relatively unknown, it propelled Fiennes to superstardom. The biggest crime was that he lost out to a best supporting actor Oscar to Tommy Lee Jones for The Fugitive. Seriously? Watch the two films back-to-back and see who doesn’t give the best performance! Although Brian Cox had already played Hannibal (The Cannibal) Lector in Michael Mann’s Manhunter, it was Hopkins’ quietly spoken version that brought the man to the attention of the world and earned him an Oscar. Now an iconic villain, he might not be as over-the-top as some of the other villains listed but it would be wrong to ignore him and the scenes with Jodie Foster in Silence Of the Lambs are still incredibly creepy. Without Rickman as The Sheriff of Nottingham, this would have been Hollywood A-Listers playing in the woods. Rickman went out and out pantomime villain with his venomous wit and outlandish behaviour, making most forget that Kevin Costner’s Robin Hood was even in the film. Perfect example of more is more. Although not making a massive impression in Thor, Tom Hiddleston’s Loki managed to grab the attention of everyone when he took on the rest of The Avengers, strutting his way through the film, having some brilliantly Shakespearean style delivery, including saying an incredibly naughty word and no one really noticing and being involved in the funniest sequence with the Hulk. More please! A delicate balance between good and bad, both star Bruce Willis and Rickman were evenly matched in this 1988 cracker. 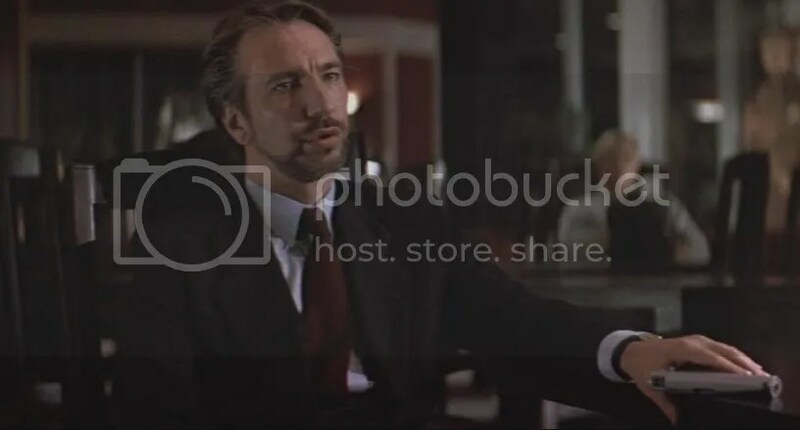 As Hans Gruber, Rickman’s terrorist/thief matched Willis’ wise-cracking hero scene for scene and this was one occasion when the film itself walked away with the applauds, and the two leads played a vital and important part. Unlike when Rickman took on Kevin Costner. ; both always give me chills. I suppose for supreme evil you need to include some Star Wars Brits too. Or Paul Freeman and Ronald Lacey in Raiders. Lucas must think we are a race of evil doers. Paul Freeman was on the cusp of my list and it was a toss up between him and Robert Shaw but Shaw won it as Pelham is such an underrated movie. There were loads more I could have included, Timothy Dalton in The Rocketeer, any of the villains in the Star Wars movies (all Brits…maybe you’re right about Lucas). I might do Brit villains in the near future when a Brit film with Brit baddie comes out. Having now seen Star Trek Into Darkness, Benedict Cumberbatch would sit very nicely in this list.